Dr. Lawrence Kennedy, Founder/ President of Episcopus Ministeries, Founder/ Former Senior Pastor of The North Church and is the Bishop/ Chairman of the Board of Church On The Rock International, a worldwide mission-based network of over 5,000 affiliate churches and ministries. Advisor to some of Hollywood’s most elite entertainers, executives, professional athletes, world-wide royalty, politicians, as well as very successful business owners and Pastors. 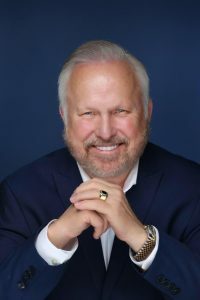 Dr. Kennedy’s unique gifting and broad range of ministry experiences coupled with his prophetic-visionary style of teaching has thrust him into national prominence over two decades ago, having been featured on Trinity Broadcasting Network and hosting the Daystar network. A gifted communicator and teacher, Dr. Kennedy focuses on evangelism according to Matthew 28:19 and Acts 1:8. Dr. Kennedy’s ability to connect the right people together at the right time has given him the privilege to develop relationships with people from all walks of life. Dr. Kennedy has built up several churches and taught the Word of God for more than forty-five years. He is an author of six books—Foundations of Order: Understanding the Need for Biblical Church Government in The Last Days, This Present Victory, Supernatural Weapons of Warfare and Rock Foundation I and Rock Foundation II, and Hold Steady: Overcoming Adversity and Finding Destiny. His practical application of God’s Word brings clear moral and ethical direction. Having studied in Canada and the United States, Dr. Kennedy earned a Bachelor’s degree in Theology, and a Master’s degree in Christian Education. He also holds a Doctor of Divinity from Southern California Theological Seminary and a Doctorate in Christian Psychology from Florida’s Jacksonville Theological Seminary.